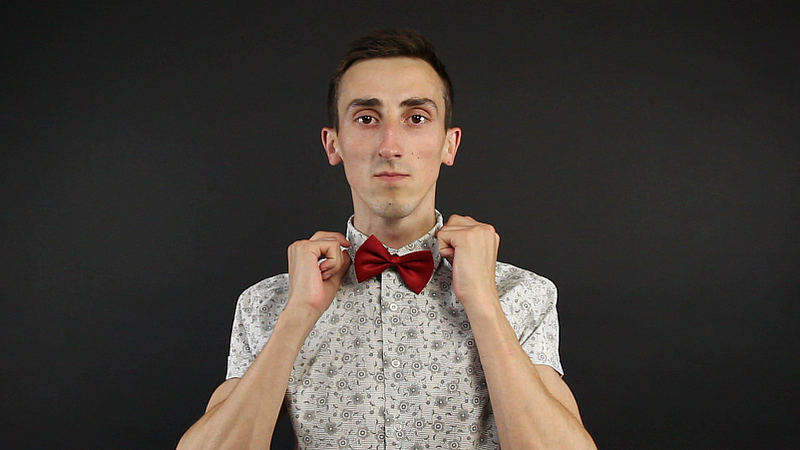 Young man adjusts his tie and shirt collar. Description Young man adjusts his red tie and collar rubashki.Paren corrects butterfly on a gray shirt with a floral pattern. Male hand corrected butterfly shirt. The man in the blue plaid shirt. Male hand corrected blue butterfly with white fish. Men's shirt with a butterfly. Assembling some of the color cube-rubik.